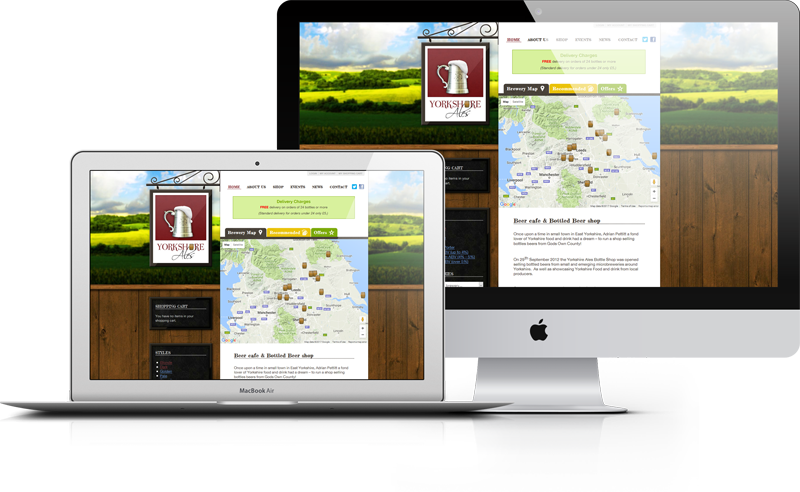 Yorkshire Ales are based in Snaith, are suppliers of specialist beers and ales from God’s Own country, Yorkshire. Alongside the shop they also have a snug and a function Room which they hold Yorkshire Tapas evenings, Gin Master classes, Cocktail Nights and many more Yorkshire themed events! 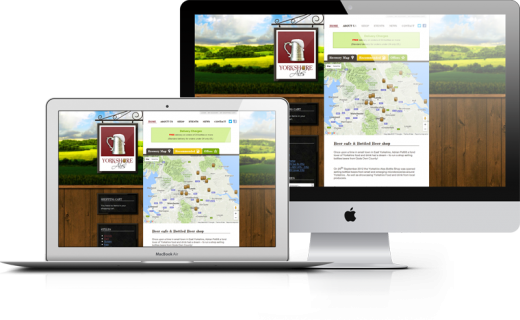 Adrian from Yorkshire Ales approached us to create an e-commerce website to accompany the opening of a brand new beer & ale shop in Snaith, North Yorkshire. The business sells beers, ales, stouts and related products sourced from micro-breweries all across Yorkshire. 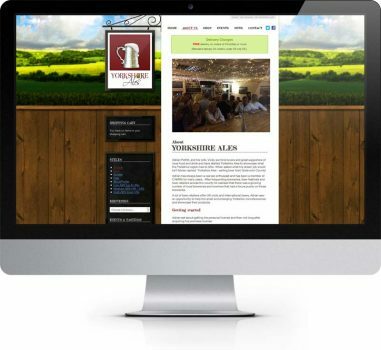 We opted to create a website based around a ‘rural pub’ design and created the shop sign and tankard to add to the logo already supplied. We were delighted when Adrian decided to have the physical shop sign drawn to match our design! The website design features rolling hills, ‘chalkboard’ style menus and a wooden background, offset against a fresh pure white background for the shop itself. Many of the pages actually would serve a number of goals – sales of beer and merchandise as well as descriptions of the many and varied breweries themselves. We decided to use a tab design to allow different content to be displayed on each page. This is particularly evident on the home page, where it was decided to use Google Maps to demonstrate the breweries that can be found on the site. Due to its size and complexity of some of the features on the site we opted for the popular and powerful Magento platform. 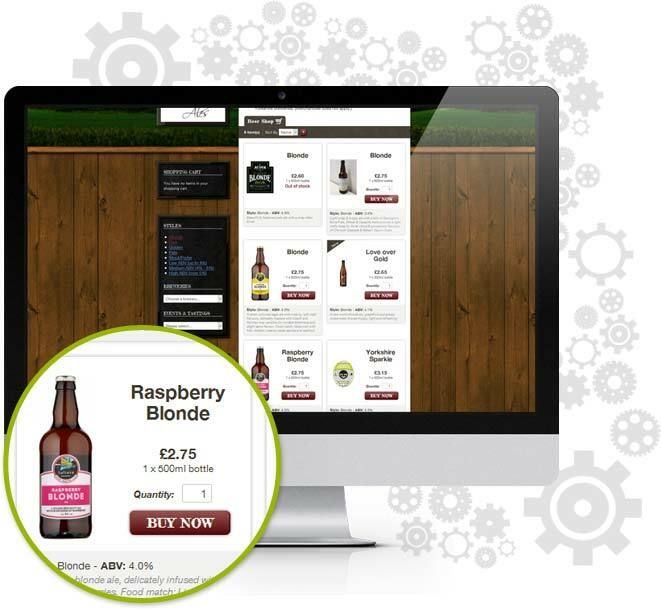 Magento allows for the creation of sophisticated e-commerce sites and could easily handle the volume of products and variety of settings required by Yorkshire Ales. 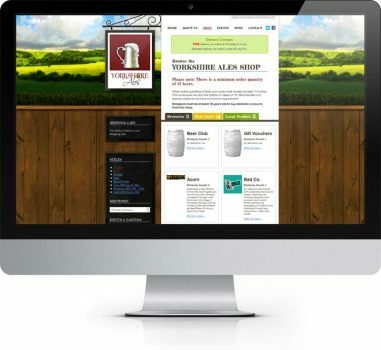 In addition to standard products and merchandise we also set up a number of special sub-sections, allowing Yorkshire Ales to flag products as ‘Recommended’ or create special offers to be shown on the home page. We created a simple and accessible account system for repeat customers to set up a login and record their orders and store address details. 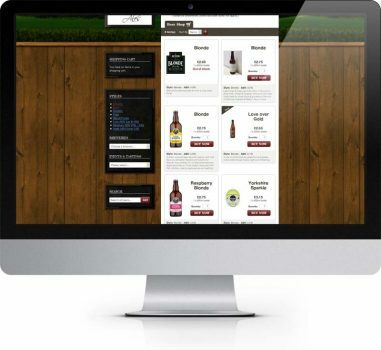 At Adrian’s request we limited orders of beer to a minimum of 12 bottles (1 crate) – customers can then make up a crate or two from a variety of different ales across the website. Shopping on the website is very simple and is all handled from a single ‘checkout’ page. Customers can pay via any major credit/debit card thanks to integration with WorldPay, an online payment gateway. 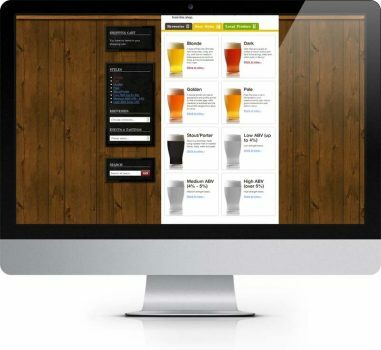 The website seems to be working well for Yorkshire Ales with orders coming in regularly. We really enjoyed designing this site and think the end result looks great. If you have a similar business and are thinking of going online, why not give us a call, or read more about our e-commerce services here.